The Wesleyan Methodist Chapel, built in 1840 and opened on Friday 12th February 1841, was disused by 1957. The chapel was being used as a factory in 1963 but was demolished in 1976. In the meantime services were held in the Sunday School building (illustrated here) which was built in 1907 adjacent to the chapel. In 1968 the congregation joined with the Dawley Methodist church in the High Street. 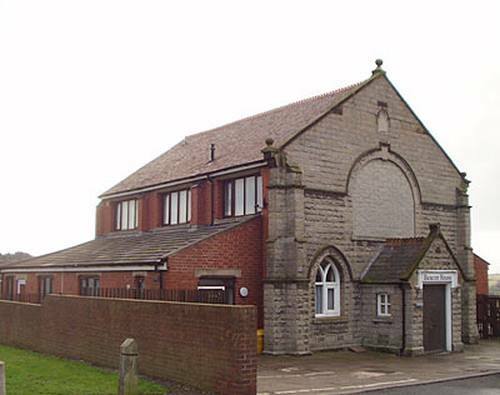 The Sunday School building was acquired by the Telford Full Gospel Church in 1971 & was still meeting there in 1980. By 2004 the building had been converted to residential use & was called "Beacon House". For an old photograph of this building, click here.